The candy cane is a long-time Christmas tradition. Everywhere we look we see them. They are used as decorations on Christmas trees and, of course, they are one of the most popular of all Christmas treats. I have heard several stories about the history and meaning of the candy cane. I don't know if they are true, but I do think that the candy cane can teach us a few things about the true meaning of Christmas. First of all, if you look at the candy cane and it looks like the letter J. Jesus starts with the letter J, so that should remind us of Jesus and help us to remember that Christmas is Jesus' birthday. 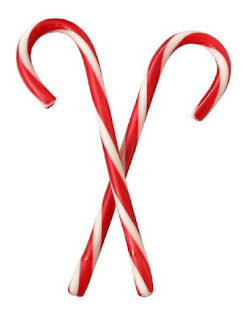 If you look at the candy cane and it looks like an upside down "J" it looks like a shepherd's crook. The shepherd used his crook to keep the sheep from wandering away from the flock and getting lost or eaten by a wild animal. The Bible says, "The Lord is my shepherd." The candy cane should remind us that Jesus is our shepherd and he will keep us from wandering away and getting lost or hurt. The candy cane is mostly white. White is a symbol of purity. That should remind us that Jesus was the spotless Lamb of God and that because he came to be the sacrifice for our sin, we can become as white as snow. As you know, the candy cane has three red stripes. The Bible tells us that before he was crucified, Jesus was beaten with a whip which made blood-red stripes across his back. The Bible says that we are healed by those stripes. The stripes on the candy cane should remind us that Jesus suffered and died, so that we can have everlasting life. To many people, the candy cane is a meaningless decoration seen at Christmas time or just a piece of candy to be eaten and enjoyed. I hope that this year, every time you see a candy cane, you will be reminded of the true meaning of Christmas. Dear Lord, we thank you that Jesus is the Good Shepherd who keeps us from harm. We thank you that because of his suffering and death on the cross, we have life everlasting. Help us to remember that we find the true meaning of Christmas in Him. In Jesus' name, Amen.